Latex action backing features a grid pattern latex reinforcement for better durability. A non-skid pad is recommended for hard surfaces. Having a rug in front of your fireplace or wood burner doesn't have to just be practical-it can be pretty! 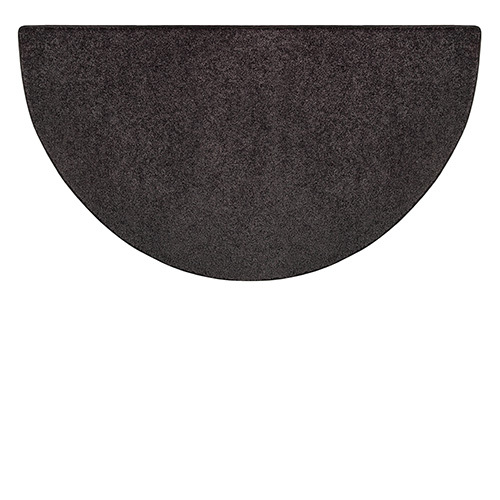 This half round Black Flame polyester hearth rug by Goods of the Woods measures 27 in. x 48 in. and is in an attractive deep marble black pattern that is just perfect to match any decor. Woven from durable polyester, this stain and fade resistant hearth rug will provide protection to your hearth and surrounding area from errant sparks, coals and embers. If a spark or a burning price of kindle fell out of the fire would the mat catch on fire? While the rug is engineered to minimize damage, it can indeed be singed if a hot ember lands upon it. This rug is indeed flame resistant and will allow no more than 3 inches of smoldering from any point of the rug that comes into direct contact with flame or embers. Can these rugs be laid on top of a carpeted area? These can indeed be laid on top of carpet. Can this rug be used outdoors? Yes, this rug can be used for your outdoor unit. No. 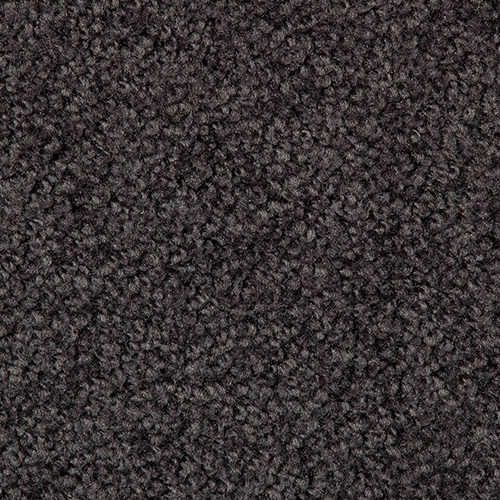 This rug can be vacuumed and steam cleaned, but it is not designed to be machine washed. Great for fireplace and also by the front door. I bought two of these; one for the fireplace and one for the front door. They are very soft and durable at the same time. Very nice and perfect for our needs. Well made and good quality. Only complaint is it takes a while to get it to lie flat after being shipped rolled up. Very nice hearth rug. It will protect our new area rug very well. Only downside is that it is somewhat thin and tends to "walk" as you step onto it. The hearth rug is beautiful and durable. The black/dark gray tones of the fabric hide any residue from the ashes. Easy to order and arrived on time in perfect condition. Great BLACK fireplace rug! Simple black rug, does the job (had a small ash fall and it saved my oriental and wooden floor)! Glad it had arrived when it did. This is the second one I have ordered and I love it. This is a great hearth rug. It is attractive, sturdy and cleans easily. It met my expectations and arrived quickly. I would do business with this company again. I purchased this rug and received it quickly. It is a nice rug, looks good in front of our wood stove. I don't think any sparks have hit it so far so I can't state about its fire resistance. Being black it does show every crumb of wood and dirt but vacuums easily or I can just pick the pieces up to keep it clean and looking good. I am pleased with the purchase. Rug is fine quality and pile depth. Color is dark charcoal rather than black. This rug is simple, durable and suits a constantly-used fireplace area. This company is terrific to buy from, and the shipping was fast, cheap and easy.